Results of the Nurse Board Exam held last May 25 - 26 2014 in various Professional Regulation Commission testing centers nationwide, as released by the PRC, are available here. Please check out this webpage often for updated May 2014 NLE Results. The Professional Regulation Commission (PRC) and the Board of Nursing (BON) announces that examines took the exam given last May 25 and 26 2014 in testing centers all over the Philippines. 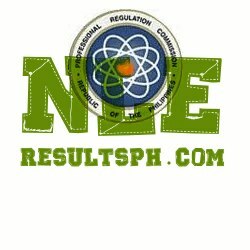 11,225 out of 29,188 passed the Nurse Licensure Examination given by the Board of Nursing in the cities of Manila, Bacolod, Baguio, Cabanatuan, Cagayan de Oro, Cebu, Dagupan, Davao, Iloilo, Laoag, Legazpi, Lucena, Pagadian, Pampanga, Tuguegarao and Zamboanga last May 2014. Registration for the issuance of Professional Identification Card (ID) and Certificate of Registration will be announced later. Those who will register are required to bring the following: duly accomplished Oath Form or Panunumpa ng Propesyonal, current Community Tax Certificate (cedula), 1 piece passport size picture (colored with white background and complete name tag), 2 sets of metered documentary stamps and 1 short brown envelope with name and profession and to pay the Initial Registration Fee of P600 and Annual Registration Fee of P450 for 2014-2017. Successful examinees should personally register and sign in the Roster of Registered Professionals. Majority of the examinees came from the National Capital Region, followed by Davao and Cebu. As announced above by the PRC, Many examinees have taken the exam from various testing centers all over the Philippines. Testing centers are Manila, Baguio, Cabanatuan, Cagayan De Oro, Cebu, Dagupan, Davao, Iloilo, Laoag, Legazpi, Lucena, Pagadian, Pampanga, Tuguegarao, and Zamboanga..
Good luck to all examines! God Bless! There are rumors that the results might be released next week.